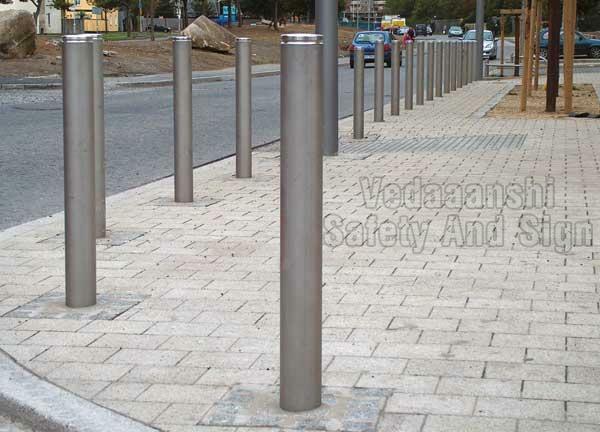 Bollard is a simple, clean solution to asset protection that doesn't sacrifice strength for looks. The heaviest of blows don’t phase this bollard. It’s easy to install, has no exposed bolts or anchors, and the zinc-plated steel finish is corrosion resistant. It takes only one person to install it.